Link-Belt Work Tools have a proven record in the harshest, most demanding applications. Depending on the application, our demolition equipment can be equipped with a variety of specialized attachments and components to be fit-up to your needs. Tough Tools for the Toughest Jobs. Introducing Link-Belt Demolition Work Tools, the perfect match for Link-Belt demolition machines. 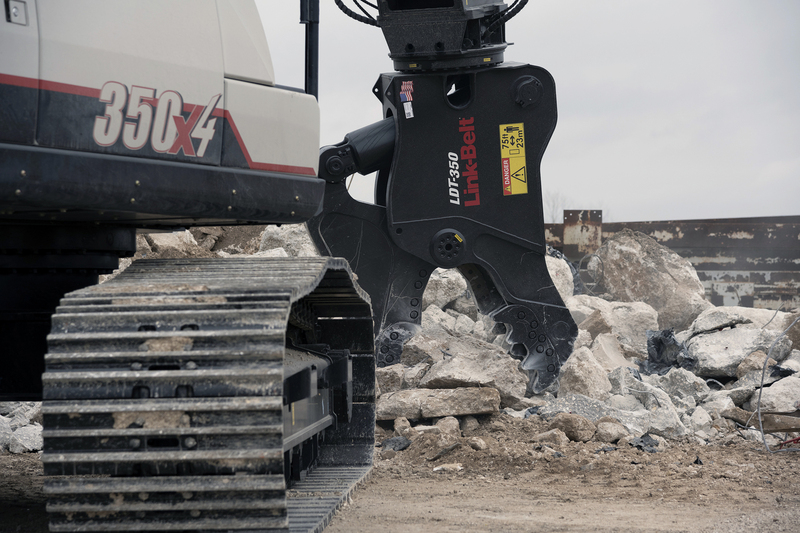 These tough tools are designed to handle a variety of scrap processing and demolition applications. All Link-Belt demolition tools are covered by a 1-year, 1,800-hour (whichever comes first) Standard Limited Warranty; warranty will be honored on tools mounted on Link-Belt excavators only.